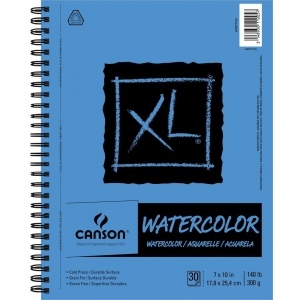 Canson XL Watercolor Papers features a cold press textured paper that works beautifully for a variety of techniques. * The durable surface withstands repeated washes. 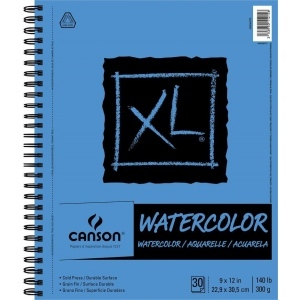 * Recommended for watercolor acrylic pen & ink marker colored pencil pencil charcoal and pastel.